This is a well known route and a favourite among locals. This in itself tells you what a little gem this place is. 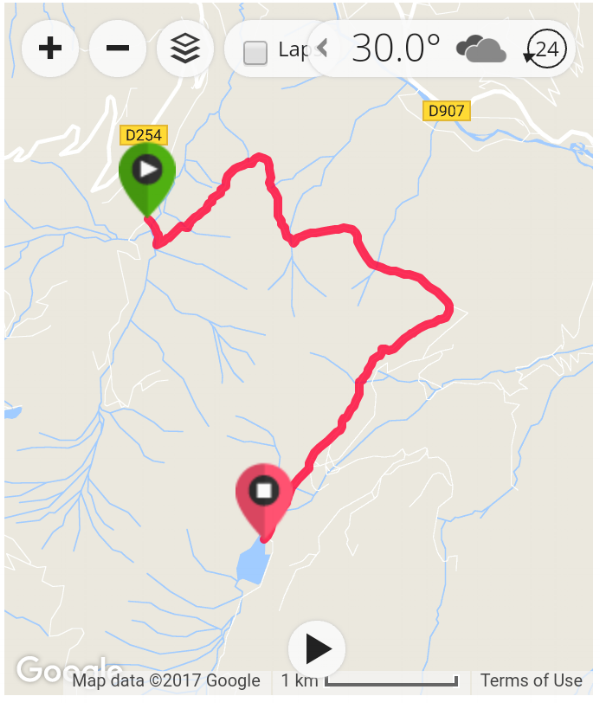 A walk that you can easily fit into a morning or an afternoon, but if you want the full experience, lunch at the Refuge Lac de Gers is a must! After changeover on a Saturday we'd usually like nothing more than to sit down with a glass of wine and relax, but with friends on hand this weekend we finished in record time and decided on a last-minute hike up to the Lac de Gers. There is the option of starting from Sixt-fer-a-Cheval at the bottom of the Cascade run, but for a faster route (perfect for late-starters!) there is a car park situated just off the road up to Samoens 1600. We were four walkers, with a range of fitness levels. There is a sign at the car park and then an easy-to-follow track right up to the lake. Be careful as you may come across cars coming up and down the track. We hiked on a clear and dry day so a good pair of trainers were fine for the walk. You don’t have to walk far from the car park before you can feel the burn in your legs! The hike starts with quite a steep, but steady ascent. But there are plenty of places to stop, catch your breath and take a picture of the amazing scenery through the trees. As you near the top it becomes much less steep and the path takes you through fields of cows, bells and all! We found lots of tiny frogs hopping about too. We reached the refuge just as they were winding down, luckily we had expected this and had brought sandwiches and a well deserved beer each! We found a great spot overlooking the lake to enjoy our picnic. It's such a great place and feels like you're a million miles from anywhere, surrounded by the mountains. It took us just under 2 hours to reach the refuge (it can be done much faster if you can resist making friends with a frog or two on the way!). Jonny's Garmin recorded 415m of elevation over the 6.25km walk. We were quicker on the way down. With a rain cloud coming closer we were back in the car in under an hour and a half. So far this is our favourite way to spend changeover afternoons!